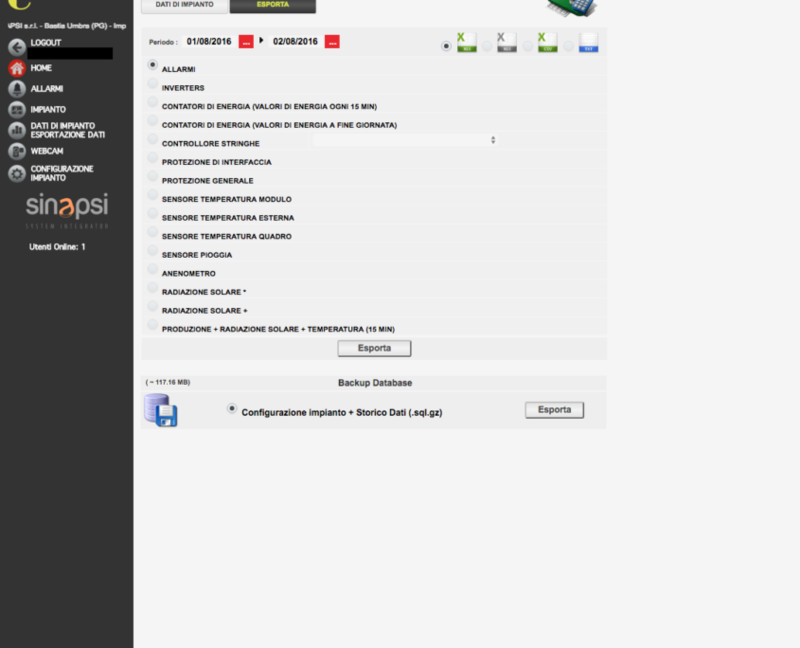 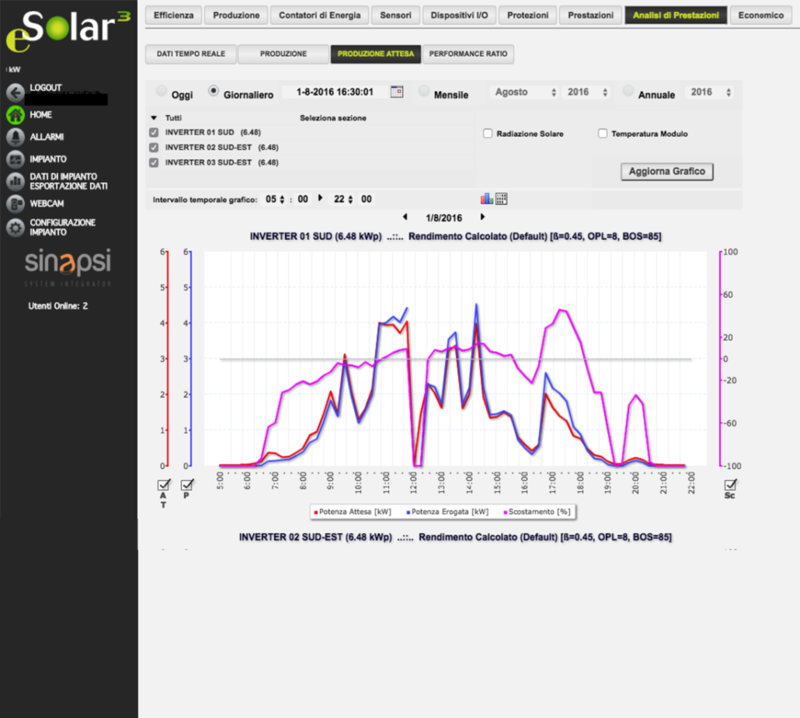 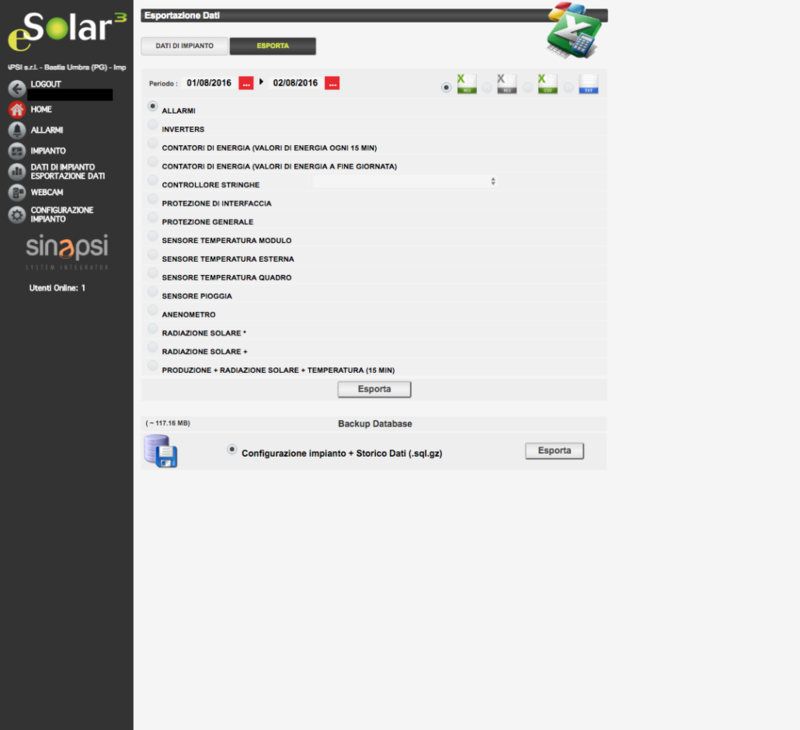 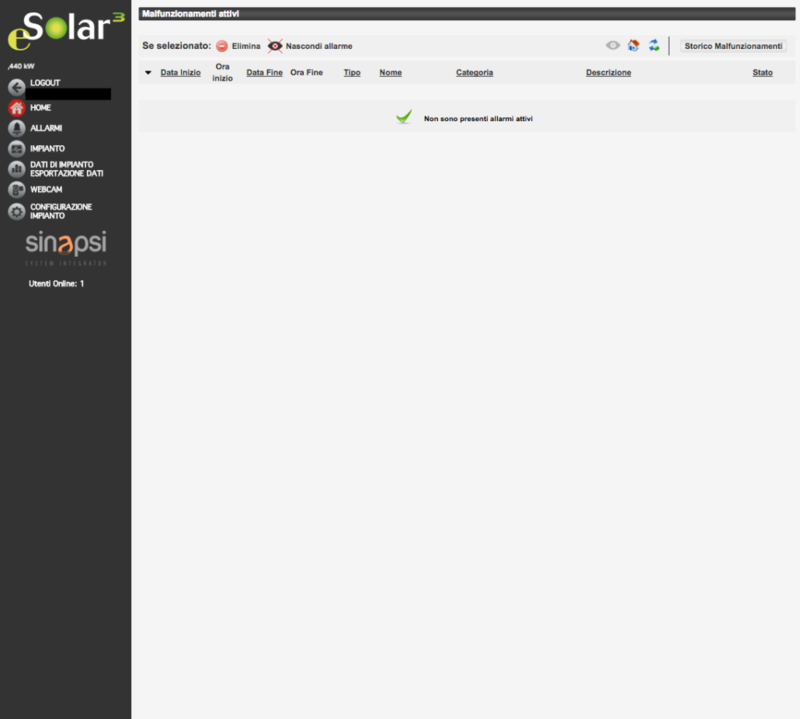 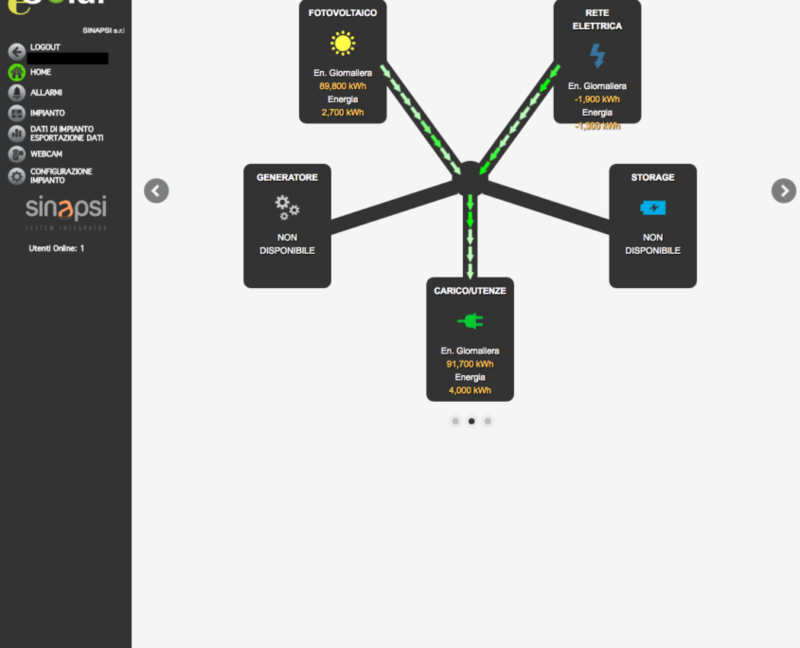 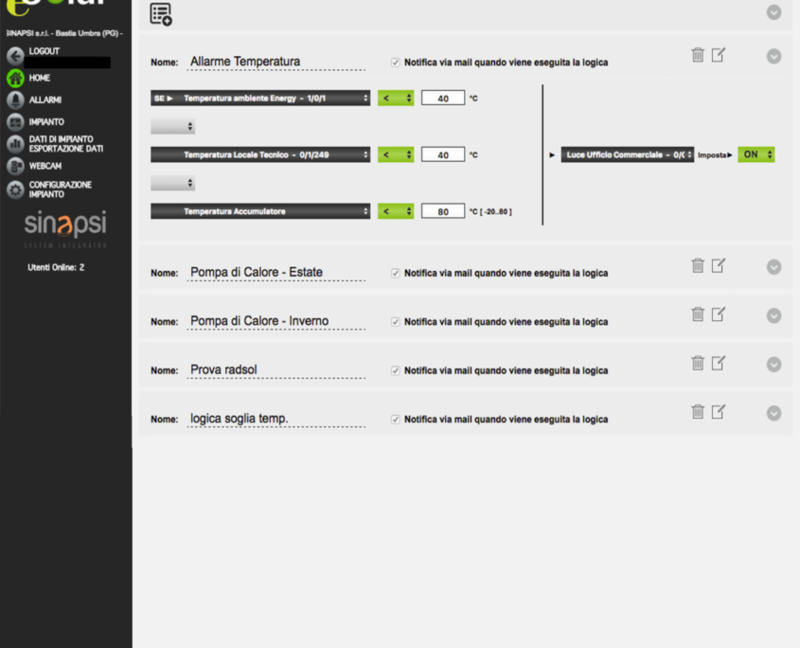 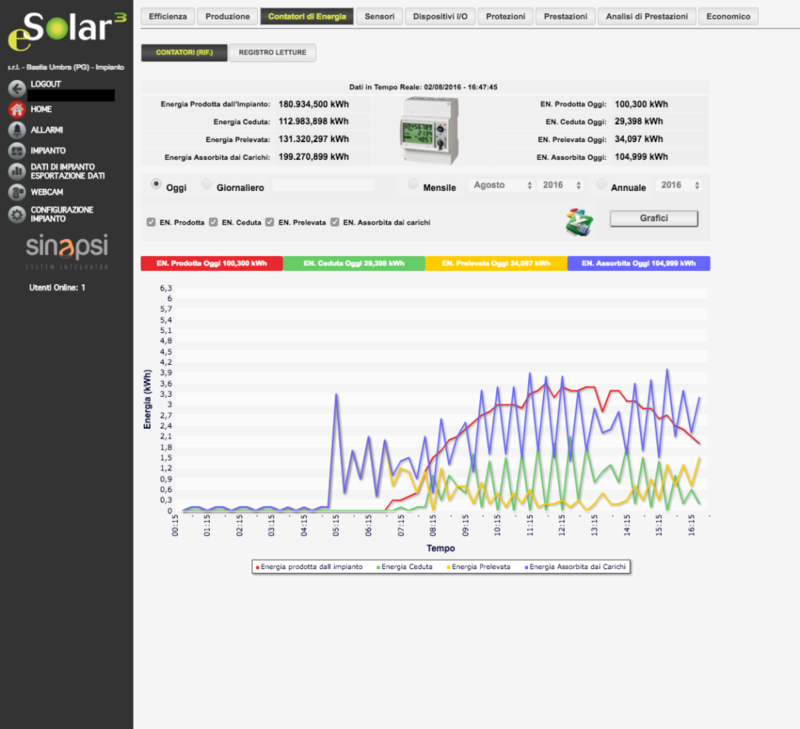 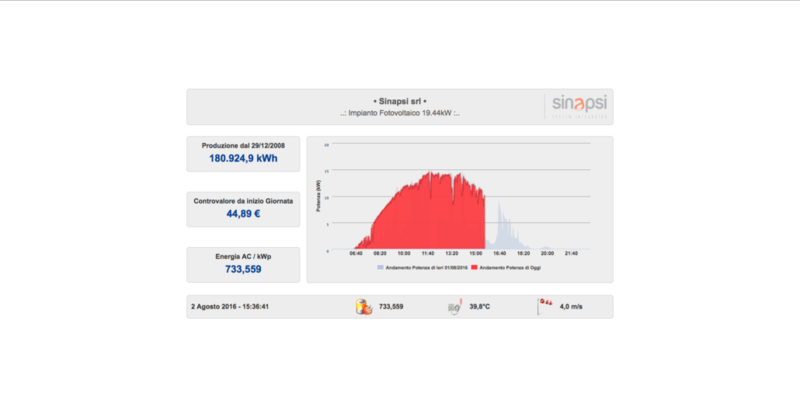 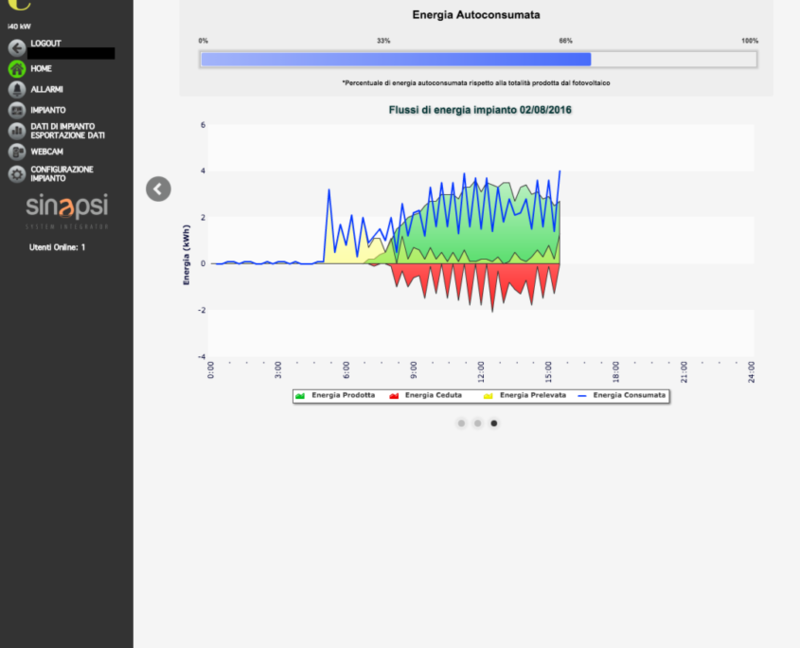 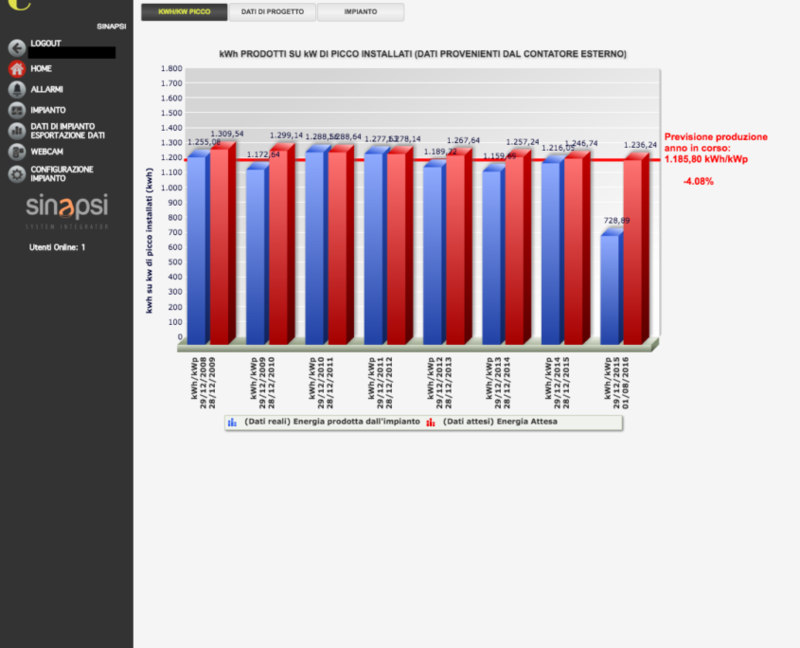 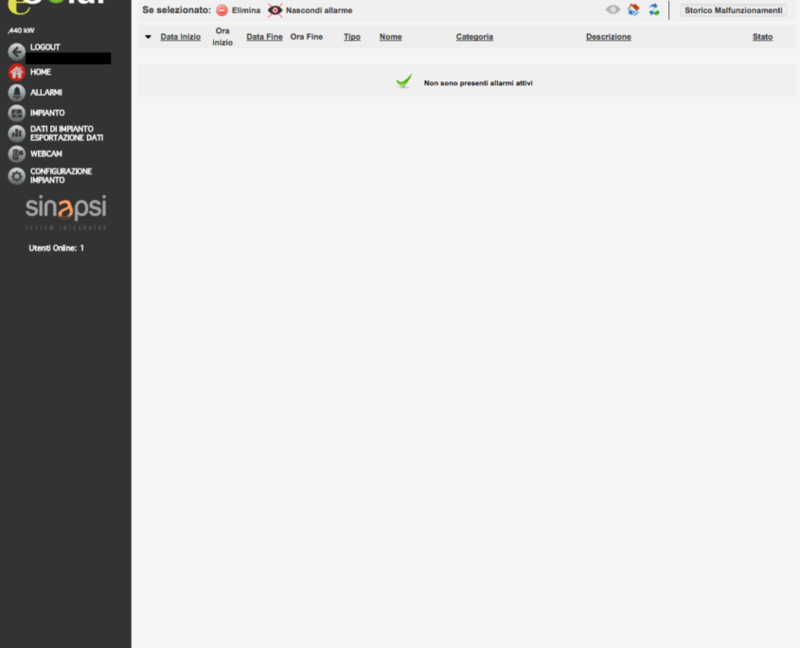 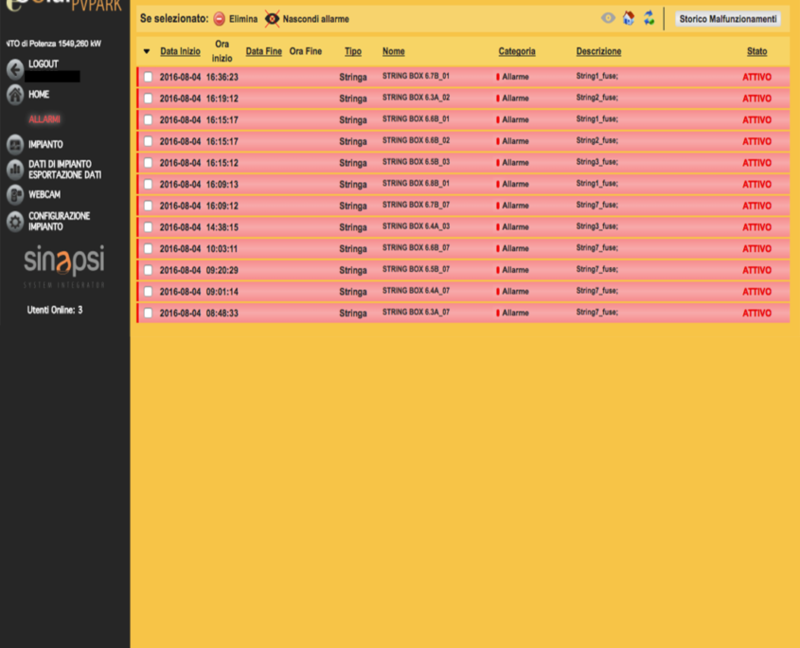 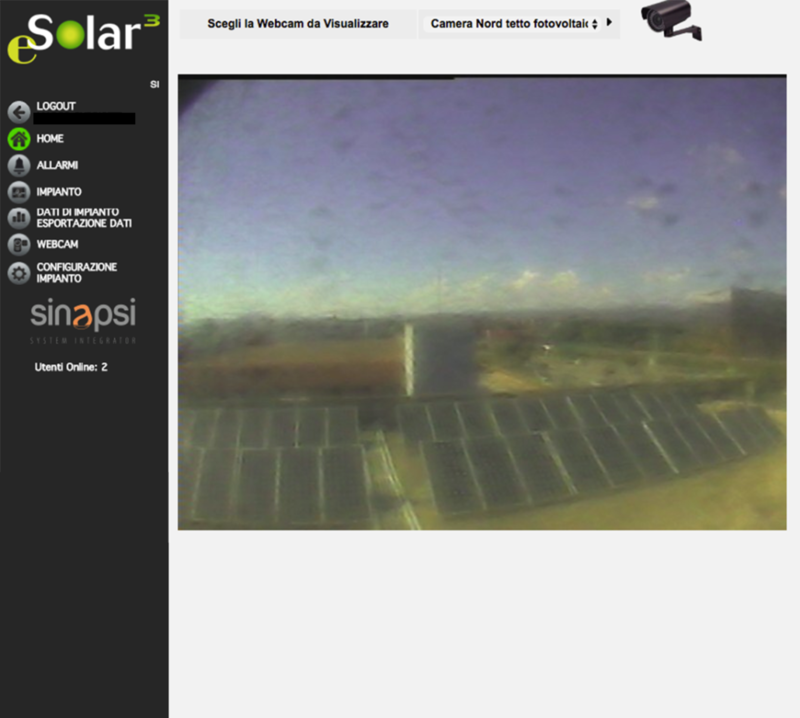 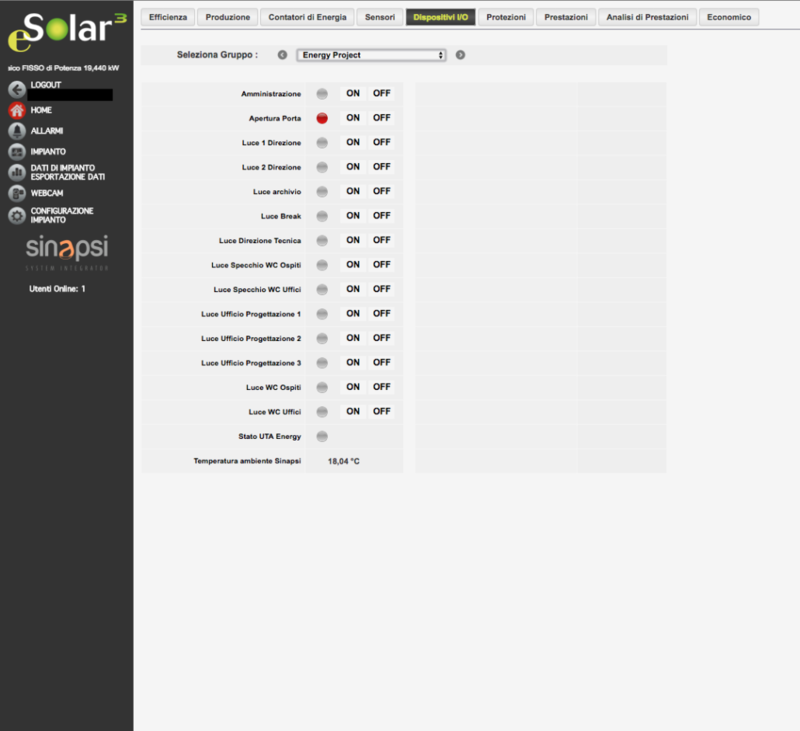 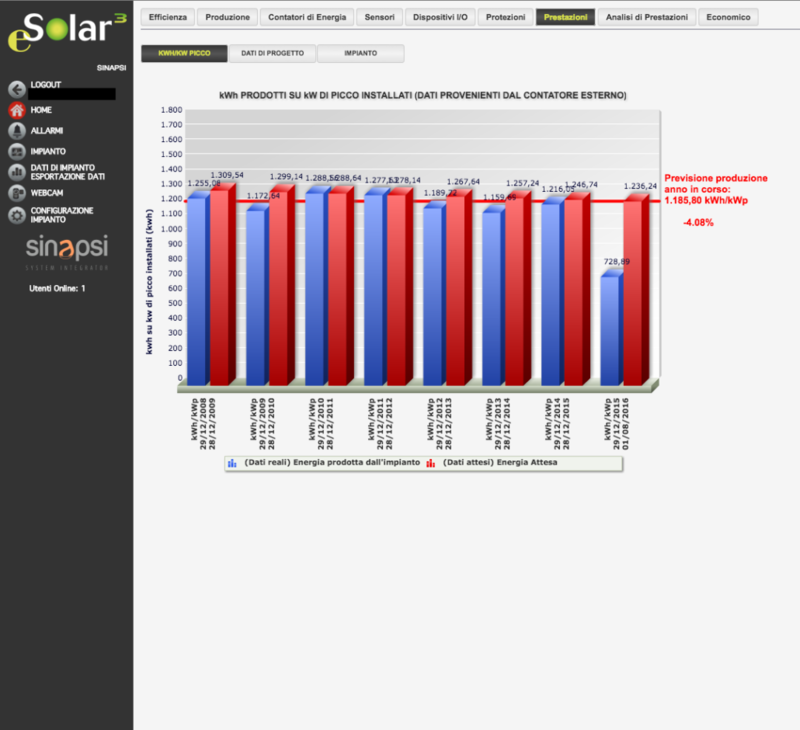 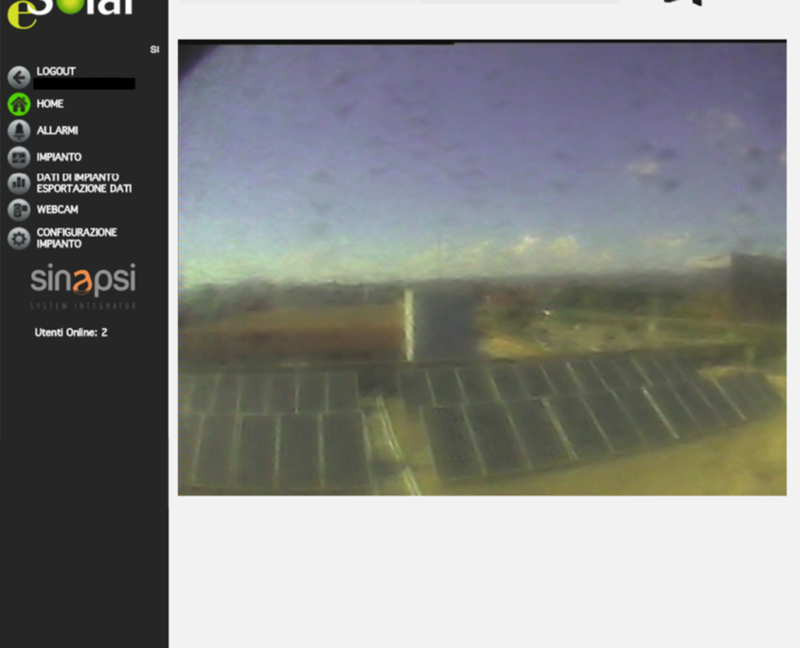 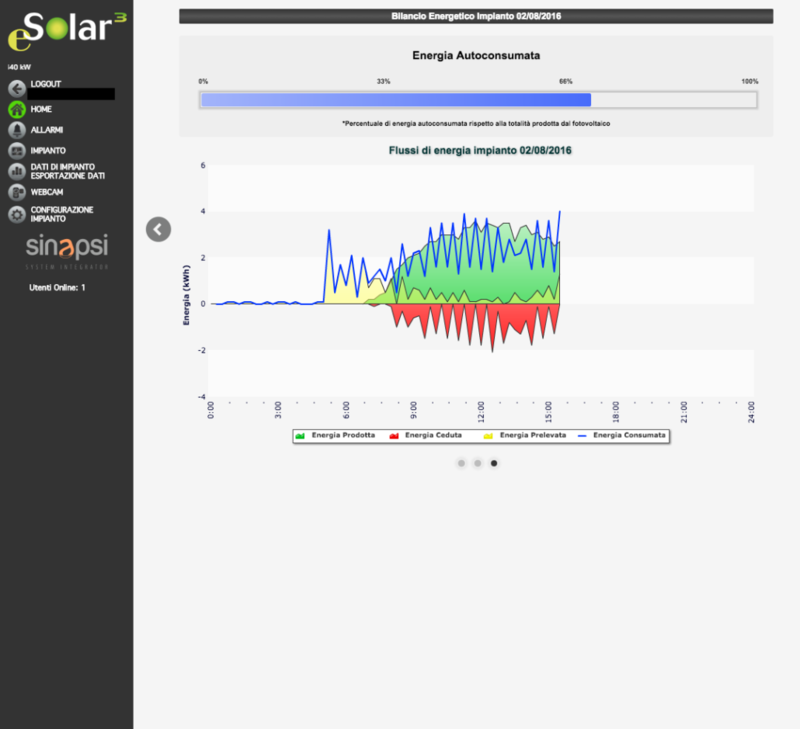 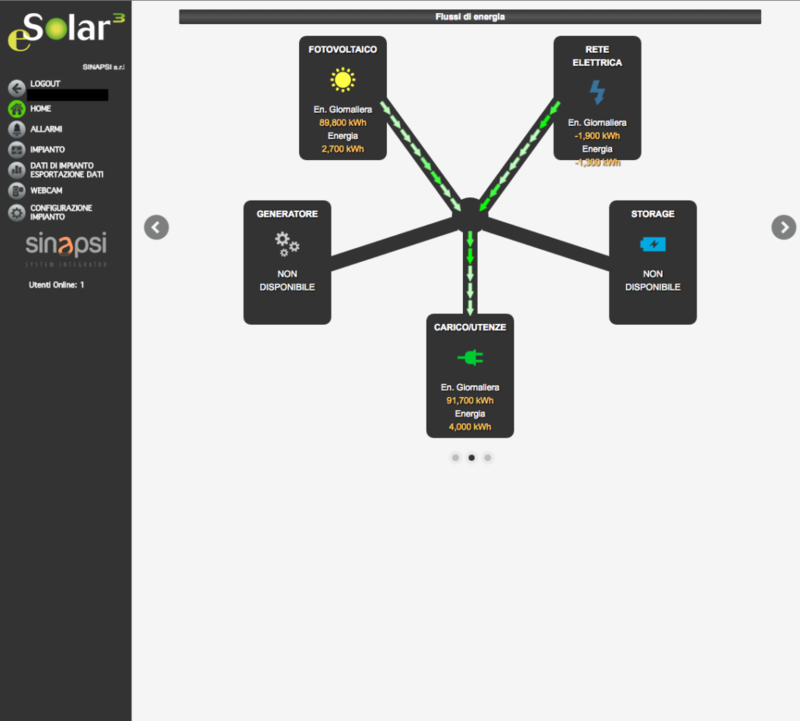 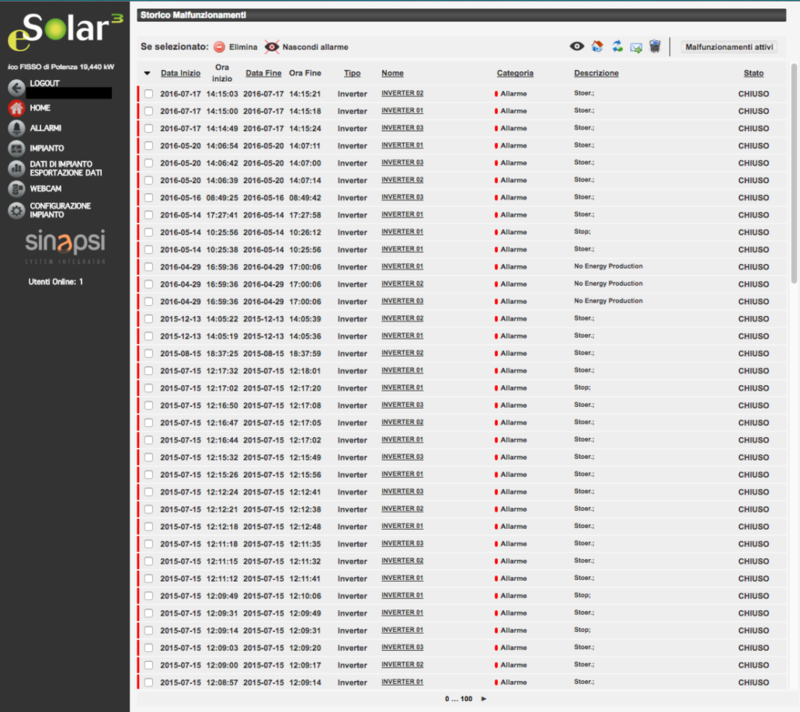 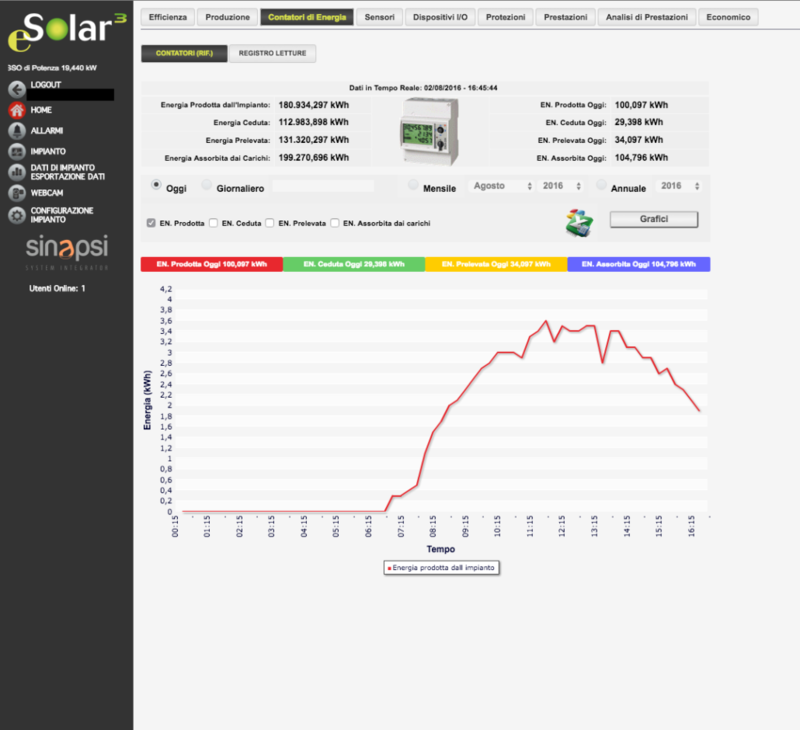 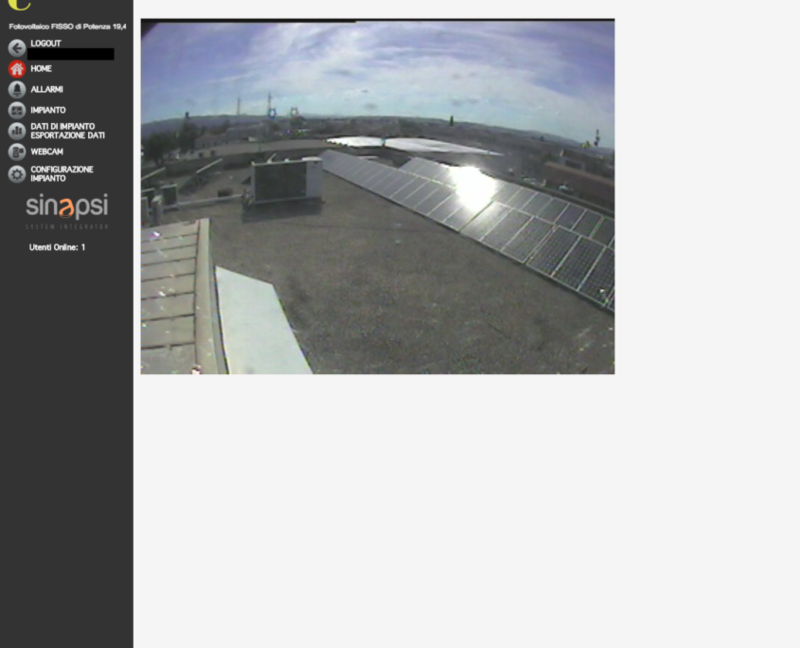 The ESOLAR family products are natively supplied with a web server interface. 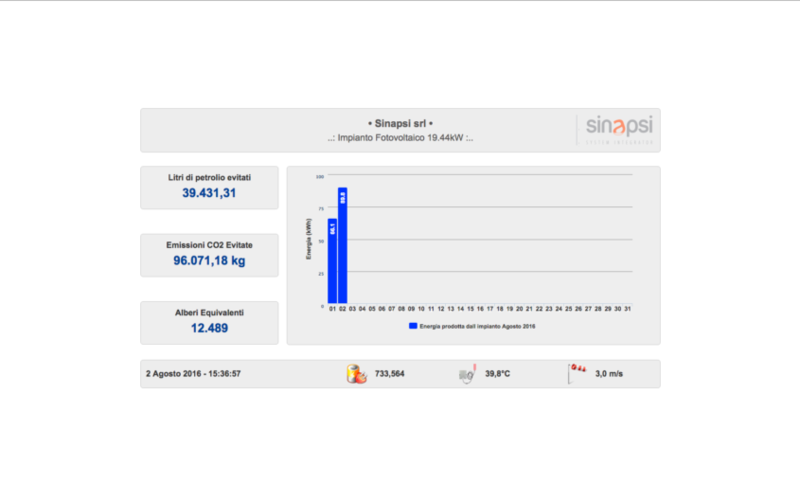 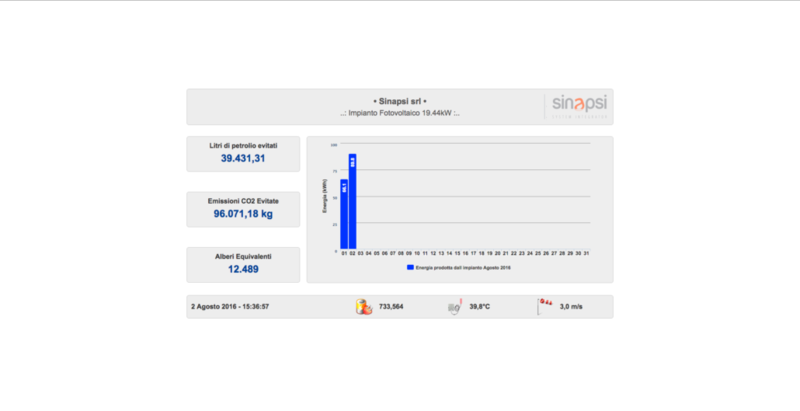 The interface has been developed for simple browsing and is complete with all functionalities useful for management of the system, even by those who are not experts. 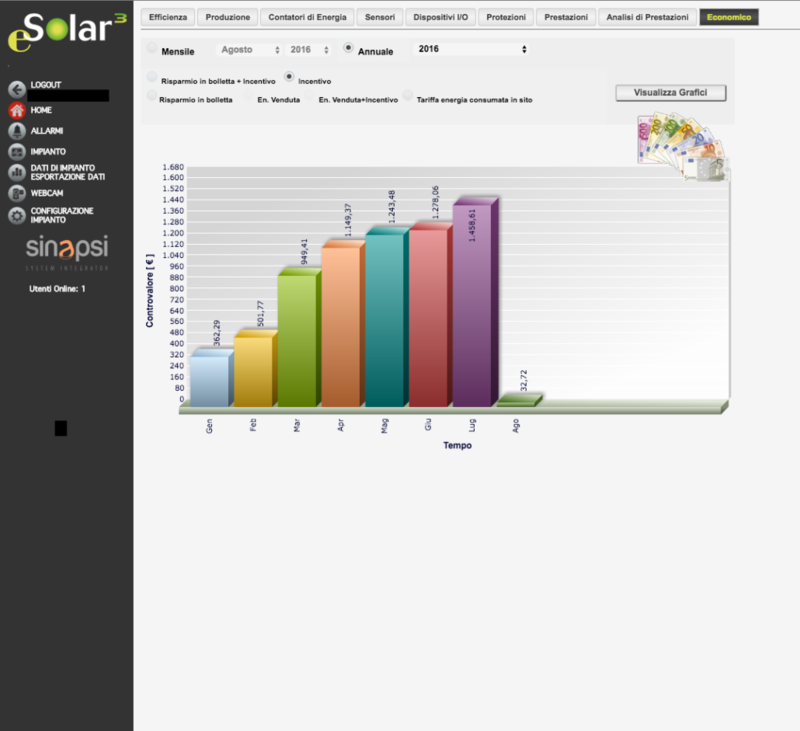 Below find several examples of the potentiality of the ESOLAR interface. 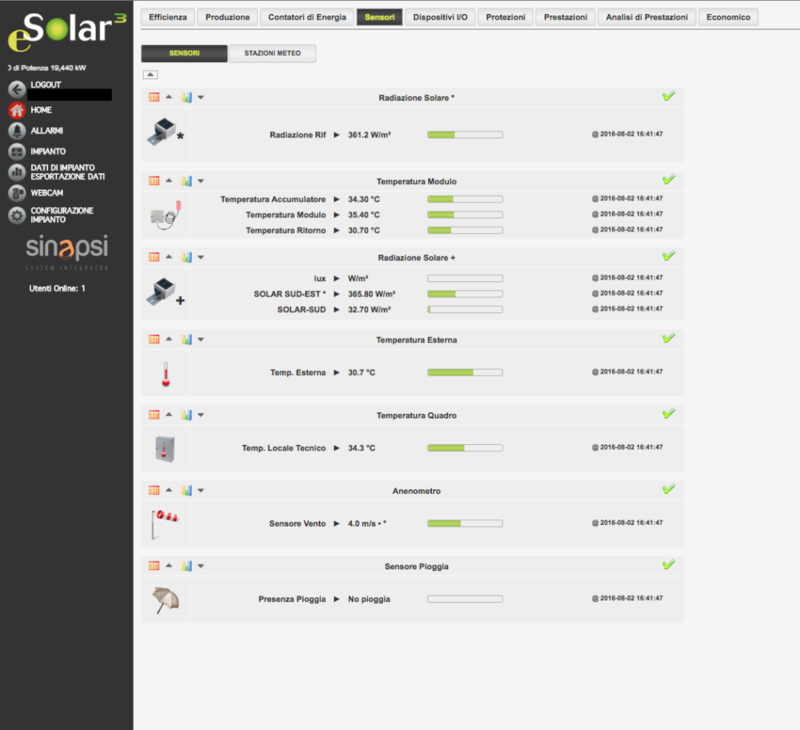 Please verify the specific functionality in relation to the ESOLAR model (LINK to PRODUCTS COMPARISON SHEET) Refer to the product manual for further details. 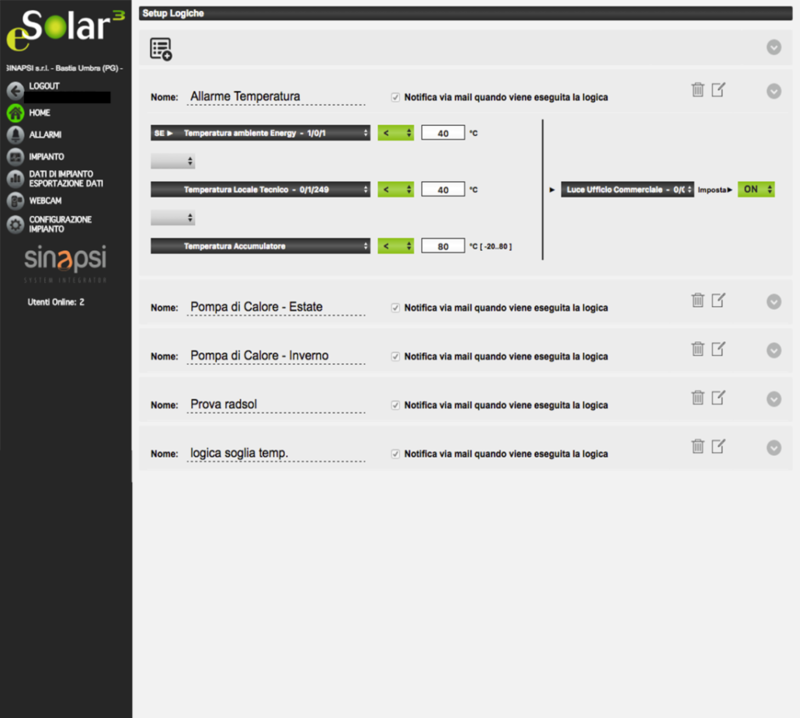 To try the DEMO click here. 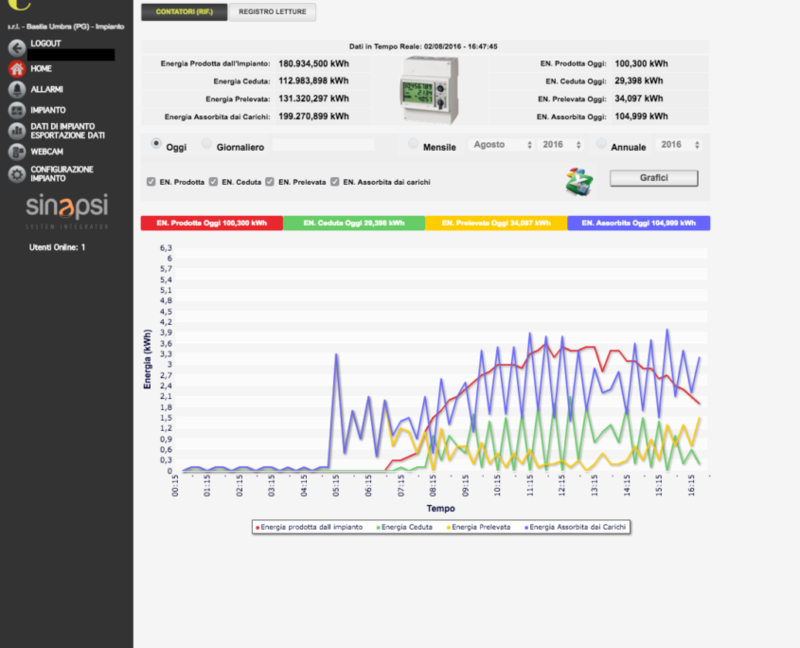 Built-in meters communicate through RS232/RS485 impulse ports and TCP/IP eGateways. 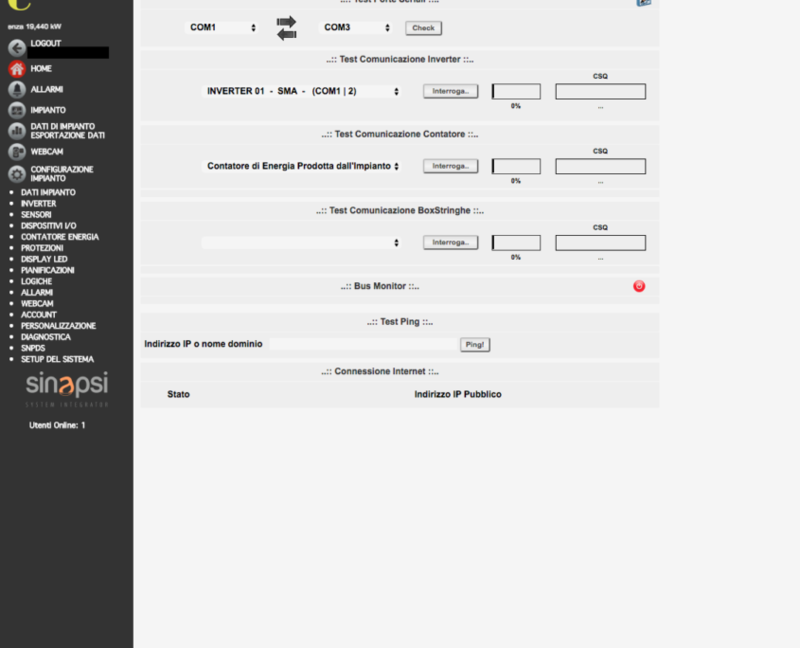 Direct exportation of the daily readout of the production meter to fill-in the customs register. 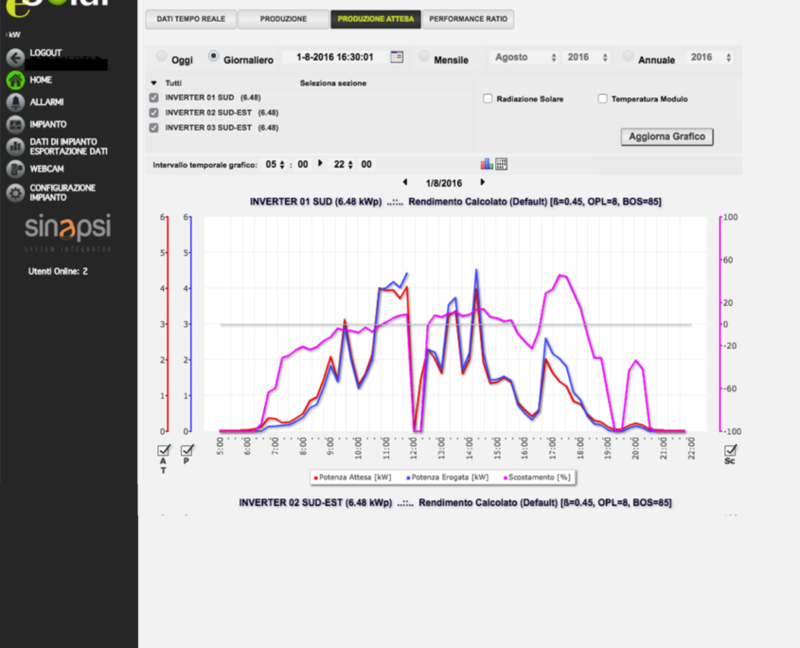 Possibility of selecting a type of data to be exported (inverter, string controls, counters, sensors…) in a certain time interval. 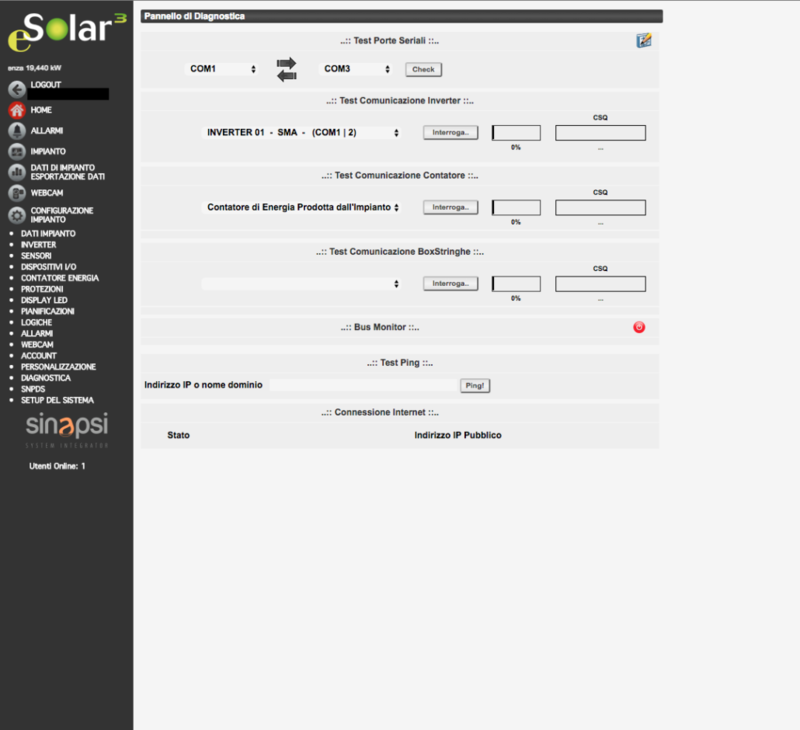 Sending of periodical system production reports. 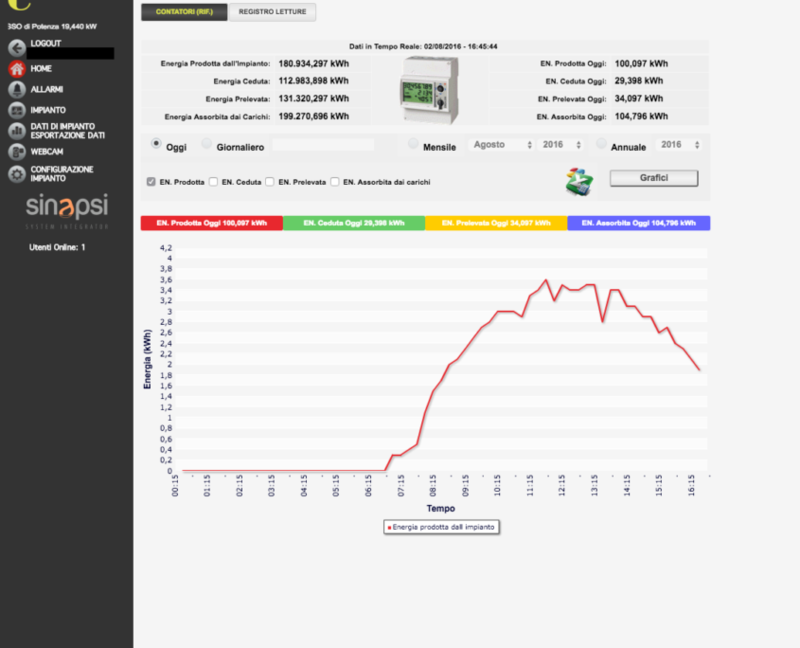 Backup automation on external USB memory with daily, weekly, monthly and yearly frequency. 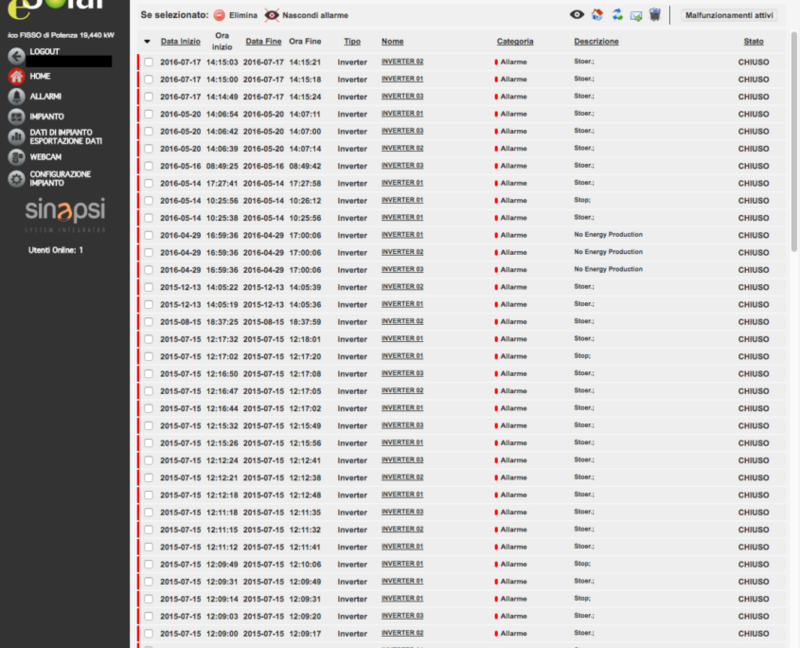 Manual backup from remote PC. 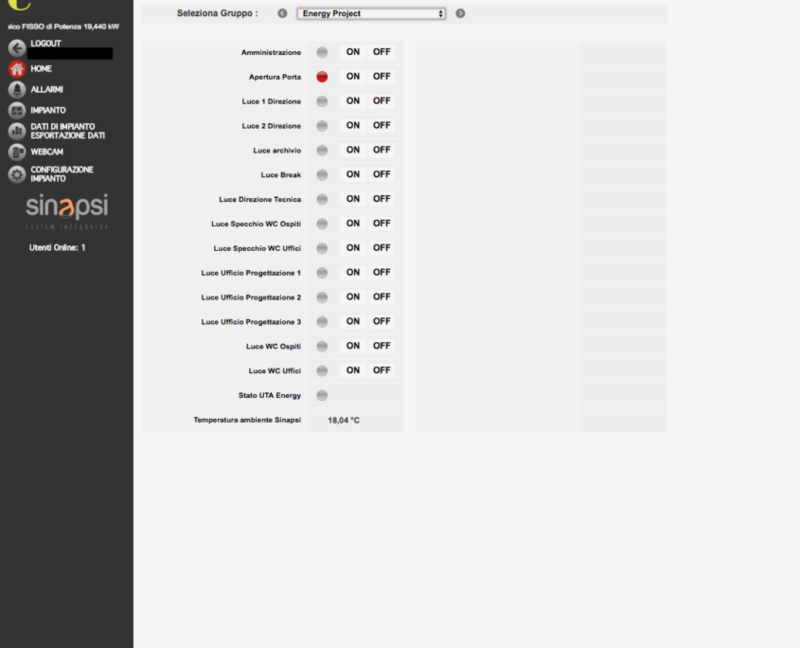 System data and/or configuration may be saved for reset and/or redundant data. 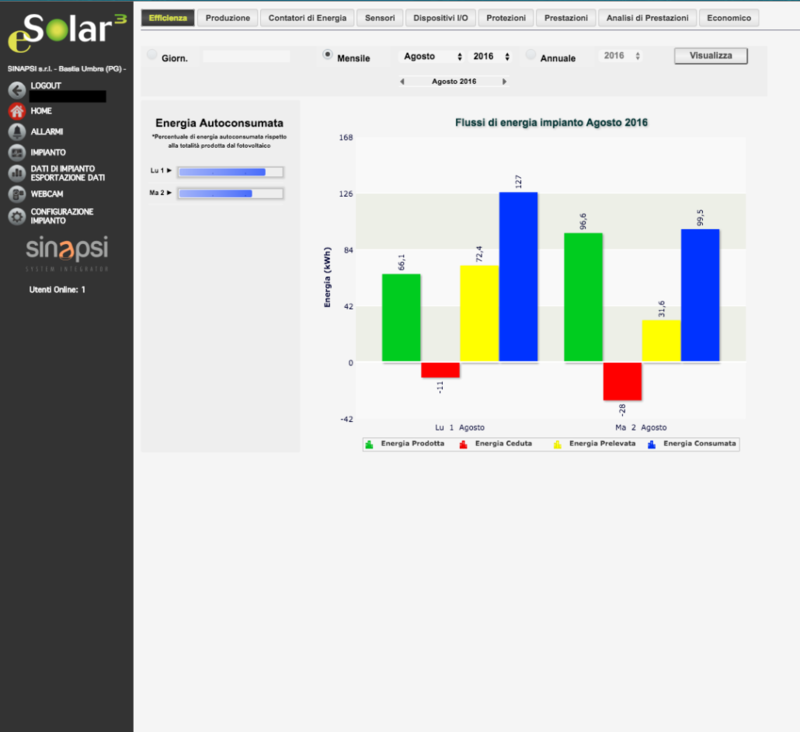 “To be green” is a dominant concern in the world of renewable power sources. 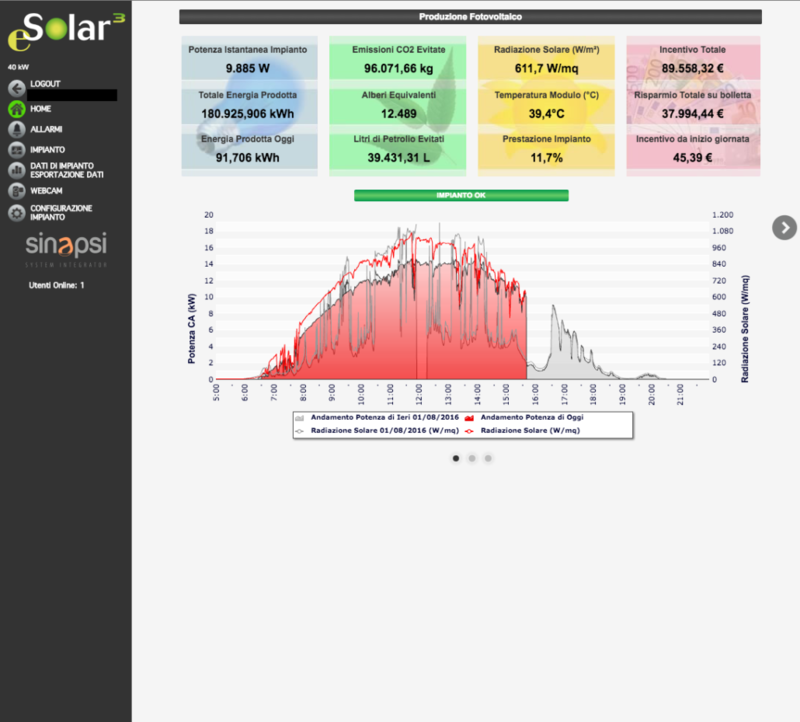 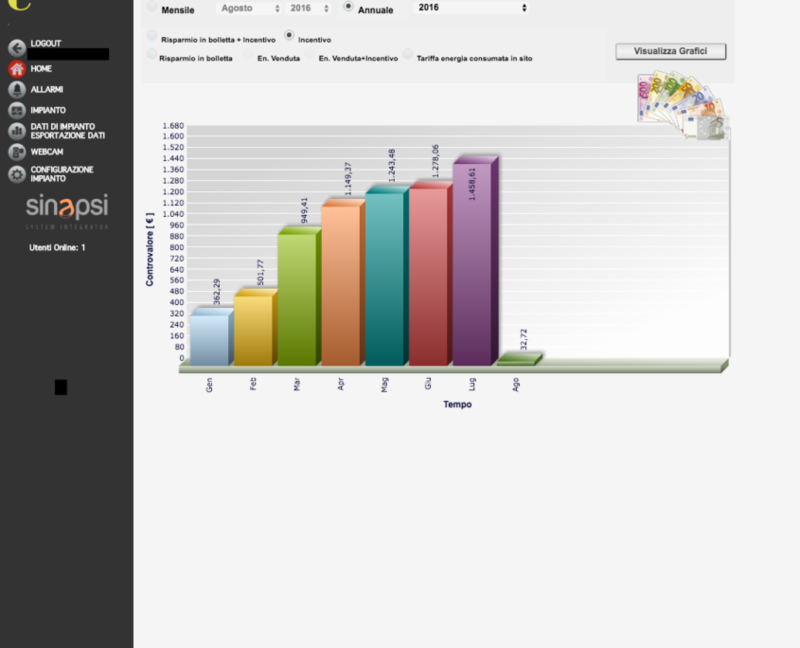 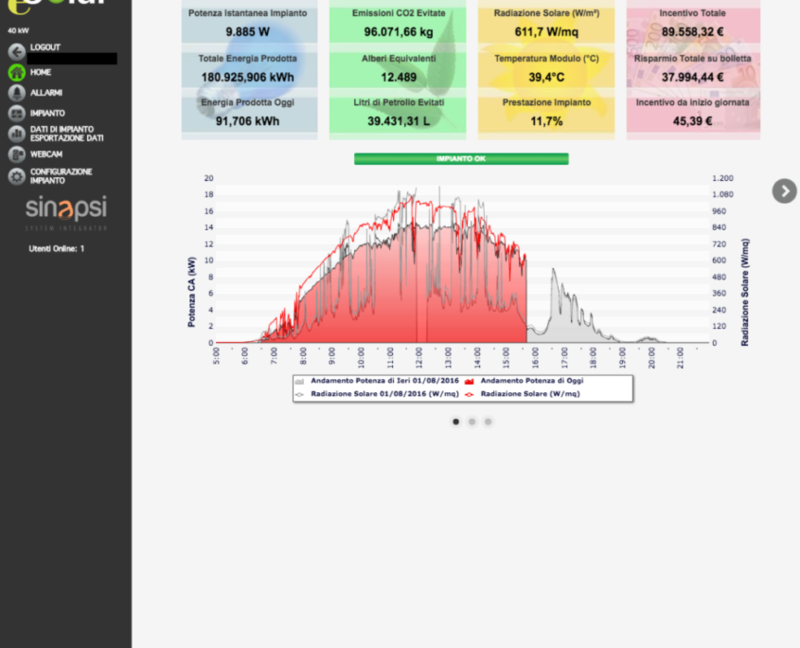 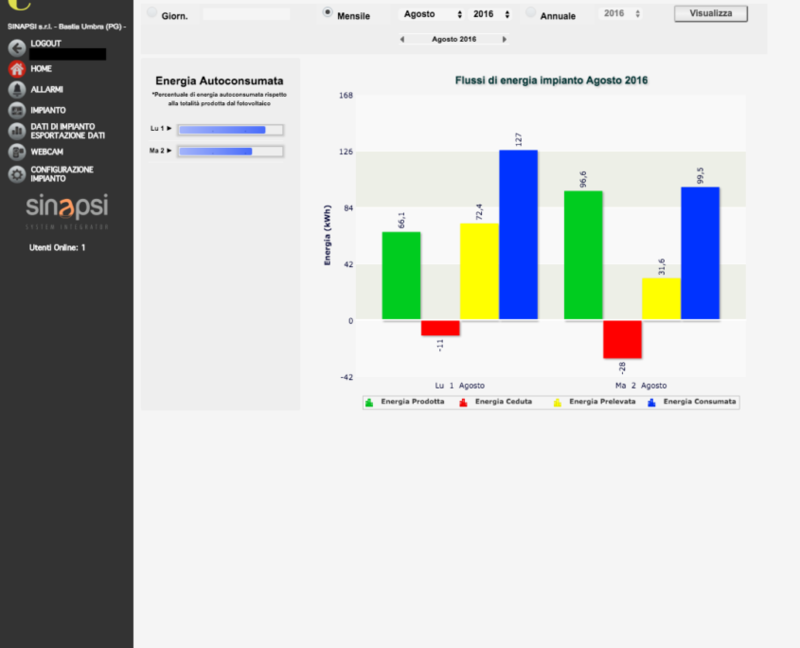 Web APP (freely available and compatible with iPhone, iPad, android and Blackberry and available on eSolar, eSolar LIGHT and eSolar CENTRAL) .